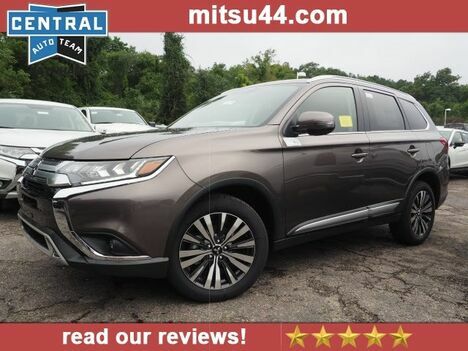 * 2019 ** Mitsubishi * * Outlander * * ES * This reliable 2019 Mitsubishi Outlander ES comes with a variety of features, including backup camera, Bluetooth, braking assist, dual climate control, a power outlet, hill start assist, stability control, traction control, premium sound system, and anti-lock brakes. With an unbeatable 4-star crash test rating, this SUV puts safety first. This is the vehicle for you! Give us a call today and don't let it slip away! * Check out this 2019 Mitsubishi Outlander * * 2019 ** Mitsubishi * * Outlander * This 2019 Outlander might be the one for you! Interested? Don't let it slip away! Call today for a test drive. * 2019 ** Mitsubishi * * Outlander * Equipped with features like push button start, backup camera, Bluetooth, braking assist, dual climate control, a power outlet, hill start assist, stability control, traction control, and premium sound system, this 2019 Mitsubishi Outlander is sure to meet your driving needs. With a stunning silver exterior and a black interior, this vehicle is a top pick. This one's a keeper. It has a crash test safety rating of 5 out of 5 stars. Come see us today and see this one in person! * 2019 ** Mitsubishi * * Outlander * You'll love to go exploring in this 2019 Mitsubishi Outlander, which is outfitted with push button start, backup camera, Bluetooth, braking assist, dual climate control, a power outlet, hill start assist, stability control, traction control, and premium sound system. Complete with a ravishing black exterior and a black interior, this vehicle is in high demand. This crossover awd scored a crash test safety rating of 5 out of 5 stars. Want to learn more? Call today for more information. 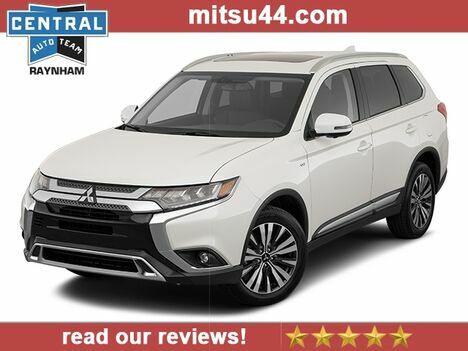 * 2019 ** Mitsubishi * * Outlander * This 2019 Mitsubishi Outlander, which includes features like push button start, backup camera, Bluetooth, braking assist, dual climate control, a power outlet, hill start assist, stability control, traction control, and premium sound system, is a trusted choice for any driver looking for an upgrade. Flaunting a ravishing lt. gray exterior and a black interior, this car is a sight to see from the inside out. This crossover awd scored a crash test safety rating of 5 out of 5 stars. Make your move before it's too late schedule a test drive today! * 2019 ** Mitsubishi * * Outlander * Buying a car doesn't have to be difficult! Check out this high-quality 2019 Mitsubishi Outlander and its many features including push button start, backup camera, Bluetooth, braking assist, dual climate control, a power outlet, hill start assist, stability control, traction control, and premium sound system. Drivers love the sleek lt. gray exterior with a black interior. With a crash test rating of 5 out of 5 stars, everyone can feel secure. Good cars sell fast! Give us a call and schedule an appointment today! * Check out this 2019 Mitsubishi Outlander * * 2019 ** Mitsubishi * * Outlander * This 2019 Outlander might be the one for you! This is the vehicle for you! Give us a call today and don't let it slip away! * Check out this 2019 Mitsubishi Outlander * * 2019 ** Mitsubishi * * Outlander * This 2019 Outlander might be the one for you! Call today to schedule your test drive! * Check out this 2019 Mitsubishi Outlander * * 2019 ** Mitsubishi * * Outlander * This 2019 Outlander might be the one for you! Interested? Call today to take this vehicle for a spin! * 2019 ** Mitsubishi * * Outlander * With features like push button start, backup camera, Bluetooth, braking assist, dual climate control, a power outlet, hill start assist, stability control, traction control, and premium sound system, you won't want to pass up this versatile 2019 Mitsubishi Outlander. Rocking a suave white exterior and a black interior, this car is a great pick. Don't skimp on safety. Rest easy with a 5 out of 5 star crash test rating. Don't sit on this decision for long...schedule your test drive today! * Check out this 2019 Mitsubishi Outlander * * 2019 ** Mitsubishi * * Outlander * This 2019 Outlander might be the one for you! Make your move before it's too late schedule a test drive today! * Check out this 2019 Mitsubishi Outlander * * 2019 ** Mitsubishi * * Outlander * This 2019 Outlander might be the one for you! Want to learn more? Call today for more information. * 2019 ** Mitsubishi * * Outlander * This 2019 Mitsubishi Outlander is complete with top-features such as a push button start, backup camera, Bluetooth, braking assist, dual climate control, a power outlet, hill start assist, stability control, traction control, and premium sound system. Flaunting a stunning lt. gray exterior and a black interior. With an unbeatable 5-star crash test rating, this crossover awd puts safety first. Want to learn more? Call today for more information. * 2019 ** Mitsubishi * * Outlander * Versatile and reliable, this 2019 Mitsubishi Outlander comes with top-grade features such as push button start, backup camera, Bluetooth, braking assist, dual climate control, a power outlet, hill start assist, stability control, traction control, and premium sound system. Flaunting a charming dk. blue exterior and a black interior. Drive away with an impeccable 5-star crash test rating and prepare yourself for any situation. View this beauty and our entire inventory today! Call for more details. * 2019 ** Mitsubishi * * Outlander * You'll love to go exploring in this 2019 Mitsubishi Outlander, which is outfitted with push button start, backup camera, Bluetooth, braking assist, dual climate control, a power outlet, hill start assist, stability control, traction control, and premium sound system. Flaunting a sharp brown exterior and a black interior, this car is a sight to see from the inside out. This crossover awd scored a crash test safety rating of 5 out of 5 stars. This is the vehicle you have been waiting for! Call now to schedule a test drive! * 2019 ** Mitsubishi * * Outlander * Enjoy a smooth and peaceful ride on the open road in this 2019 Mitsubishi Outlander, which comes with push button start, backup camera, Bluetooth, braking assist, dual climate control, a power outlet, hill start assist, stability control, traction control, and premium sound system. Exhibiting a charming silver exterior and a black interior, this vehicle won't be on the market for long. Be sure of your safety with a crash test rating of 5 out of 5 stars. Don't wait on this one. Schedule a test drive today! * 2019 ** Mitsubishi * * Outlander * Looking for a ride that can do it all? You're sure to love the 2019 Mitsubishi Outlander, which is designed with high-end features like push button start, backup camera, Bluetooth, braking assist, dual climate control, a power outlet, hill start assist, stability control, traction control, and premium sound system. Exhibiting a gorgeous white exterior and a black interior, this vehicle won't be on the market for long. This safe and reliable crossover awd has a crash test rating of 5 out of 5 stars! Make your move before it's too late schedule a test drive today! * 6 Cylinder engine * * 2019 ** Mitsubishi * * Outlander * * GT * This 2019 Mitsubishi Outlander GT is a real winner with features like a push button start, blind spot sensors, Bluetooth, braking assist, dual climate control, a power outlet, hill start assist, stability control, traction control, and premium sound system. It has a 6 Cylinder engine. Don't skimp on safety. Rest easy with a 5 out of 5 star crash test rating. Interested? Call today and schedule a test drive! All pricing and details are believed to be accurate, but we do not warrant or guarantee such accuracy. The prices shown above, may vary from region to region, as will incentives, and are subject to change. Vehicle information is based off standard equipment and may vary from vehicle to vehicle. Call or email for complete vehicle specific information. Discounts shown include all applicable rebates and discounts available.